*DISCLOSURE* Thank you to Diana's Bananas for providing product samples in order to facilitate this post. All thoughts are strictly my own. I know some places are still experiencing winter weather, but here on the Texas coast, we have been hitting 80-85 degrees since February. Spring (and summer for the matter) always comes a little early down here and that means we are already looking for ways to cool down. Frozen treats are always a winner when it comes to warmer weather, but can often be full of sugar and calories. 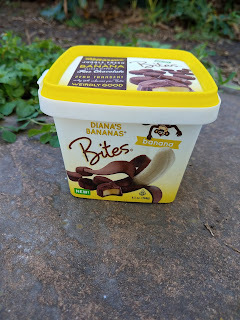 Not Diana's Bananas! 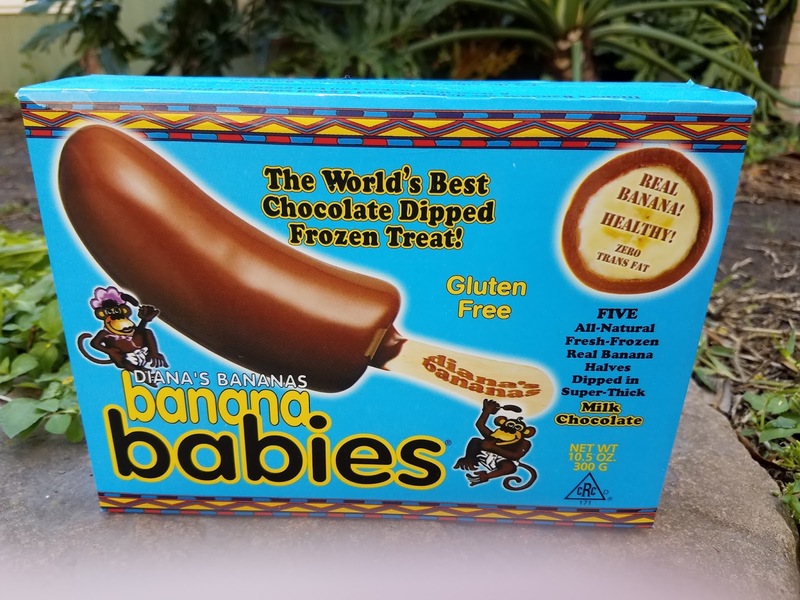 They offer a healthier frozen treat...Banana Babies! 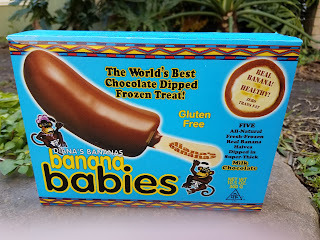 Banana Babies are chocolate dippped bananas on a stick. Yum, yum and YUM! Diana's Bananas are picked at the peak of their natural sweetness and dipped and flash frozen while still fresh which results in a healthful and spectacularly delicious treat! The original. It’s “Weirdly Good” It’s the one that started it all—the world’s creamiest, most flavorful banana enrobed in mind-blowingly delicious milk chocolate. One bite and you’ll realize: weird is good. It’s getting dark in here: And that’s a good thing, because we’re talking about decadently flavorful dark chocolate. 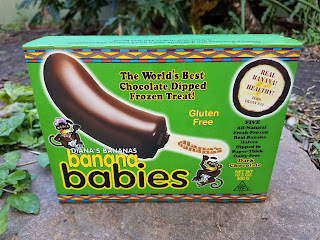 Once you’ve experienced these frozen banana encased in rich dark chocolate, you’ll realize—you’ve just seen the light. 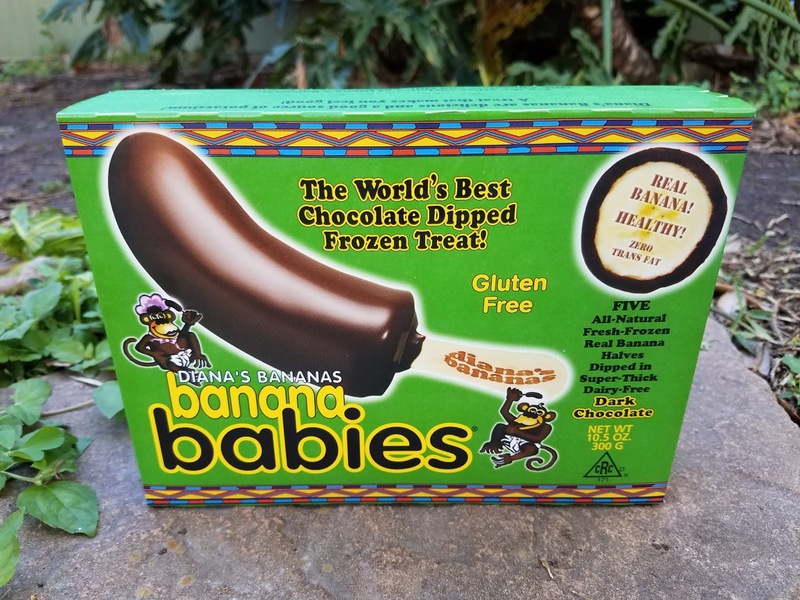 Real, frozen banana slices paired with a mix of premium dark and milk chocolate create delicious treats that will take your taste buds to the tropics. 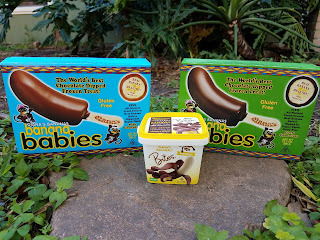 Diana's Banana Babies are just 4 Weight Watchers points each and all Diana's Bananas products are gluten-free. 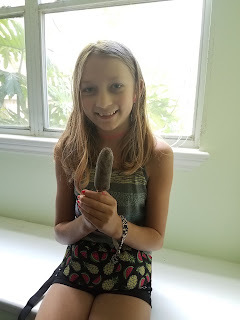 Treat yourself to a healthy frozen treat this Spring with Diana's Bananas!